Located in the heart of Carbondale, Colorado on Main Street – there is no better place to hold a special event than Marble Distilling Co. & The Distillery Inn. 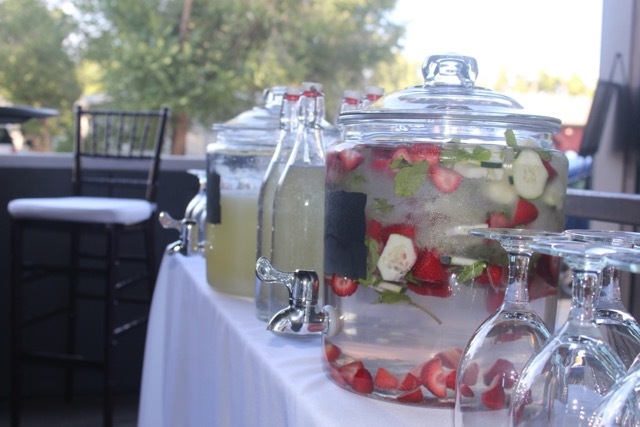 From a corporate gathering, wedding reception, family reunion, incentive program or board meeting – we have adaptable spaces to accommodate your special event. In addition, The Distillery Inn boasts five luxury one-bedroom suites that can be bought-out to compliment our event venues. Our event specialists are available to help you plan and organize your event should you so choose. 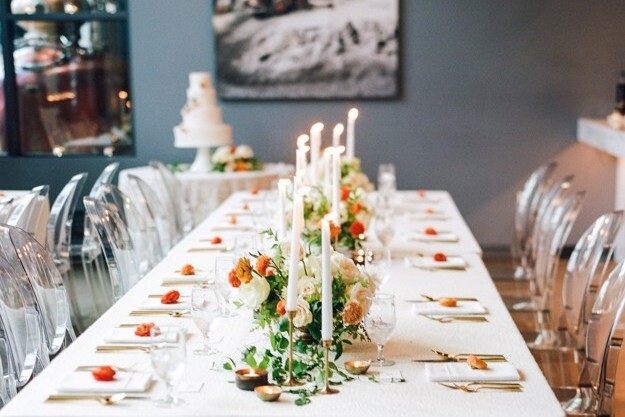 This open space is perfect for a reception, plated meal or theatre set. With views of “Hazel” our beautiful Copper Vendome Still, the Marble Bar and brick from the land’s original farmhouse – you have the perfect platform for most any type of event. The Tasting Room is adjacent to both the Outdoor Patio and Barrel Room – providing several options for complimentary event spaces. 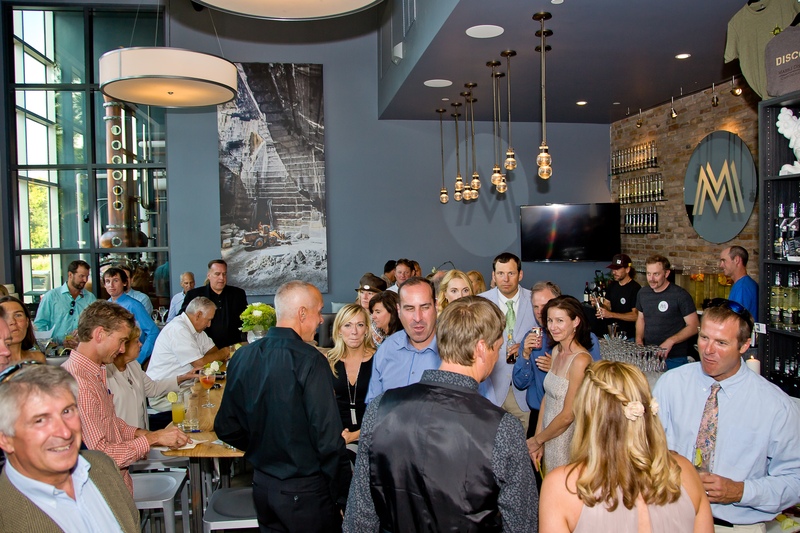 The Tasting Room can accommodate 90 people for a reception or 40 for a plated function. Your own private covered patio just off Main Street in Carbondale – complete with a beautiful Marble fireplace handcrafted with stone from the quarry just up the road. Did you know that this marble came from the same quarry that supplied the marble for the Lincoln Memorial? Pretty cool. 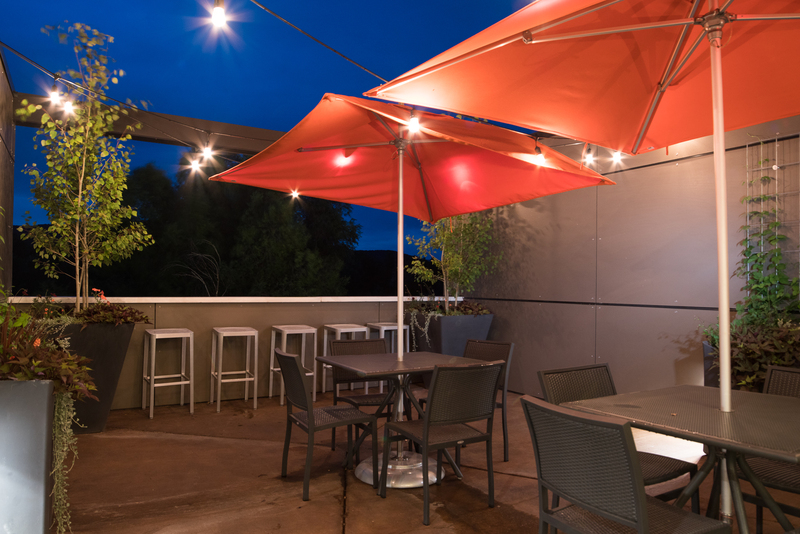 Our outdoor patio is the perfect compliment to the Tasting Room – allowing guests both an indoor and outdoor space. The patio alone can accommodate 20 for a reception. Sip spirits and enjoy local favorites all from your private “Partio” overlooking Main Street with amazing views of Missouri Heights and Carbondale ranchland. Perfect for a reception for up to 30 or plated meal for 20 – also a great space to utilize if you buyout The Distillery Inn for a wedding, reunion or other event – we can make it your own private hospitality deck! Step back in time to the luxury of an old whiskey club lounge and enjoy the beautiful fireplace, marvel at the barrel arched ceiling and relax in elegance while sipping your favorite MDC spirits. 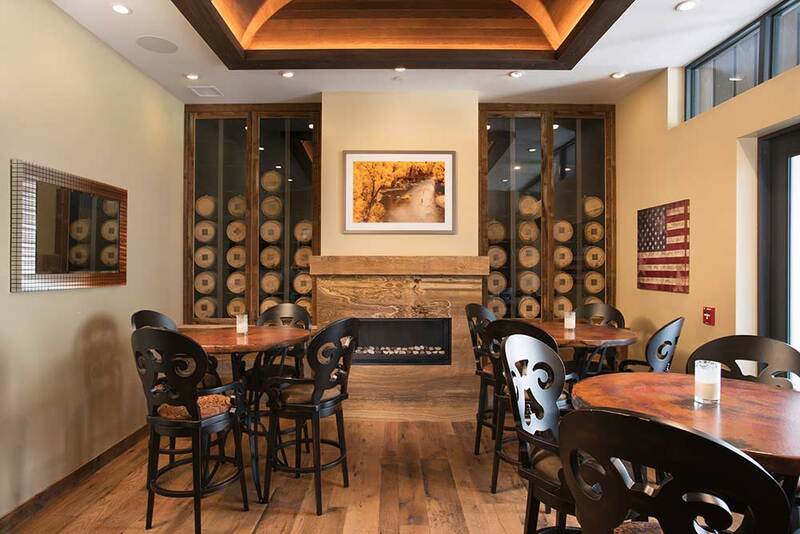 The members-only Barrel Club Room is available to non-members only during non-business hours. The Barrel Room can host 30 people for a reception, 20 for a plated function, and 15 for a boardroom set. 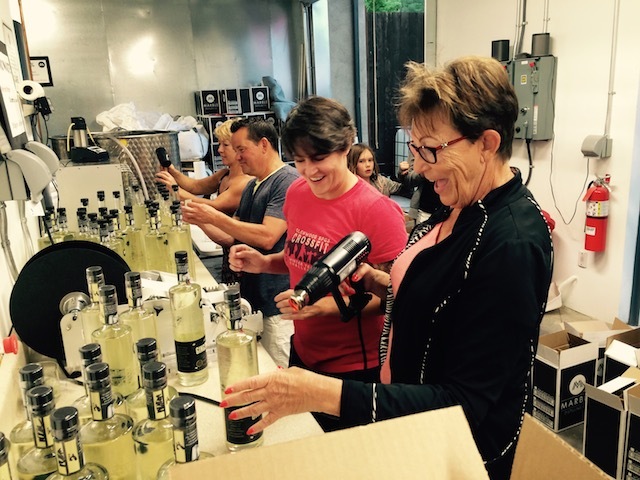 Come join in on the fun at Marble Distilling Co. and join us on the Bottling Line! Bottlers will work all aspects of the line – filling bottles, writing your name/initials next to the Batch # on the neck labels, adhering the labels on the bottles themselves, sealing the bottles – you name it, you do it! It’s super fun and comes with cocktails, food from local eateries and a bottle with your name on it at the end of the night. Email scoop@marbledistilling.com to get on the list and we’ll let you know when it’s time to step up to the line! Every event is unique – we want to work with you to give you the best service and rates possible. To learn more about booking an event with Marble Distilling Co., please fill out the form along with your completed Special Event RFP. We look forward to learning the specifics of your event and will be in touch with you to further discuss rates and availability.